Forward-thinking physicians from across the country are creating America’s next great heart and lung hospital. Why Choose The Erlanger Heart and Lung Institute? 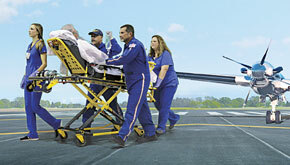 Erlanger has assembled an elite team of experts from across the country to pursue a new vision for heart and lung care. They represent a full spectrum of fellowship-level specialties – from advanced heart failure to the region’s only sports cardiology program. Working in close collaboration, our team is transforming care by offering more minimally-invasive innovations for better outcomes and faster recovery. Choose the top specialist from our pool of cardiologists, pulmonologists, surgeons, and other physicians. Our physicians, surgeons, nurses and other providers work together in areas of expertise to provide the highest level of patient care. Bob Hendrix traveled all the way from Dothan, AL, for robotic by-pass surgery at Erlanger. He’s glad he made the trip. 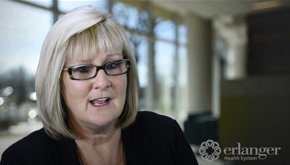 Linda was one of the 2.7 million people whose AFib doesn't show up on a typical EKG. 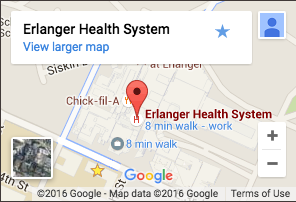 Erlanger found and fixed her condition. Heart-attack survivor Ken Douglas tells why he selected the Erlanger Heart and Lung Institute for his care.